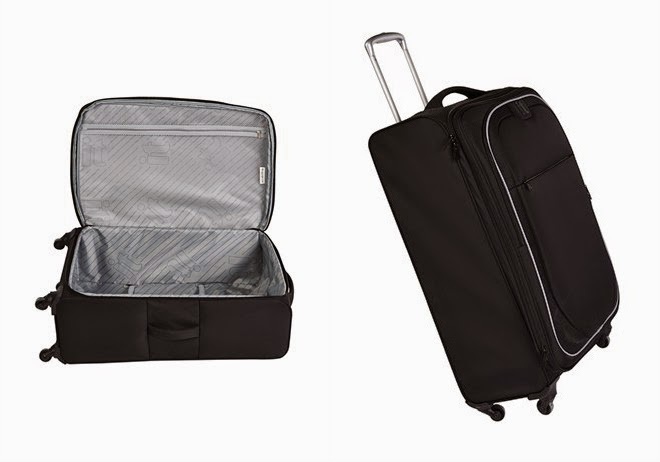 As you know I am off to Ireland next week, so I thought this would be a good time to talk about my holiday prep and how I am going to fit everything in a carry on case. As a rule I generally live out of a backpack when I am anywhere but home, so knowing that I was only going to have the space of a carry on for this flight to Ireland, I was on the hunt for a new suitcase. I have been looking online for the perfect size, colour, etc... for a while now with no luck, so I was over the moon when I found my ideal case in Matalan last weekend. I have a bucket list of things that I would like to do, however, I'm not sure how realistic those things will be and if I will be doing anything else. My main concern is fitting in a pair of wellies. I love my ripped jeans, mine have got a little too ravaged now, so I have just bought the new pair that you can see above from Boohoo. I also wouldn't go anywhere without my leather jacket (unless it's a tropical island), you can dress it up or dress it down - so it makes it the perfect jacket to bring with you when you don't have too many storage options (mine is from George at Asda). Ireland isn't famous for it's warm weather either, so a cardigan and boots are all a must. Especially when you are visiting people who live in the countryside. So wellies are also going in my case, this cute pair above are on my wishlist at the moment and are from one of my favourite brands, Joules. There are a few elements of glam that I am not willing to sacrifice though and that is my handbag. This bucket bag is from Zara's new Autumn collection and I love it. The little extension makes it great to pop my laptop into, if I need to. I will be packing a few different basic tops too, so that I can wear these daily, along with some of my favourite cami tops, which can double up for the evening if I need them to.